« Moorland wildlife will only recover once the cause of the problem and main moorland predator, the gamekeeper, is removed. The call of the moors while the heather is in bloom and there was a chance of hearing a grouse, curlew, snipe or lapwing calling was irresistible. Don’t tell my wife, but I declined an invitation to join a family party in Paris this week because the moors will always be No 1 at this time of year. Basically, this article is about two gamekeepers – Lee McManamon former keeper at Glenwherry near Broughshane and the man who succeeded him there, Conor Kelly. Everyone agreed that Lee had done a magnificent job at Glenwherry but in the 10 months that elapsed before Conor took over, grouse numbers had declined. And is it any wonder that they did since Conor has already accounted for 162 foxes on Glenwherry and neighbouring farms, 200 grey crows and 100 magpies. I won’t give precise figures numbers, but I can tell you that grouse numbers on Glenwherry are now back above what they were two years ago. Dr Ruddock head of the Northern Ireland raptor study group is monitoring raptor numbers so I won’t go into detail of what he has found at Glenwherry, but he did say that all species including raptors, grouse, snipe plover and larks had benefited from good moor management. I hope to give a fuller account of Dr Ruddock’s views in next week’s article. He emphasised that good management ruled out illegal killing of raptors. The moors in North Antrim that I’ve managed since 1971 were ravaged by wildfires two years ago. As far as wildlife was concerned that was disastrous. The new heather is coming along nicely there but the absence of long heather has meant there is no cover for nesting birds. What about Lee? To put it mildly he is doing alright. Ned Butler, field trial secretary of the Ulster Gundog League, tells me he accompanied Lee on a visit to Garrow’s estate in Perthshire. There they saw grouse coveys of 21, 18, 14 and 10. I told Ned I thought the 21 bird coveys would be an amalgamation of two broods but the view in Perthshire is that one hen had produced and reared the whole lot. On another visit Ned counted 430 grouse in a relatively small area. After visits to Morayshire in Aberdeen Ned confirmed my long held view that we in Northern Ireland could get Ulster moors back to what they once were if we followed the example set by Lee and Conor. Today the Northern Ireland Pointer Club will be holding trials at Glenwherry with a 9am meet for entrants. Meanwhile, there is a gulf between the views of some moor owners and do-gooders on the subject of raptors and the damage or otherwise, they do not only to grouse but to all species of indigenous bird life. In a blog on the British Ornithological Union’s website, Dr Arjun Amar, a leading raptor ecologist who has published widely on the hen harrier following his PhD and post-doc studies on this species, gives his views on the subject. 1. 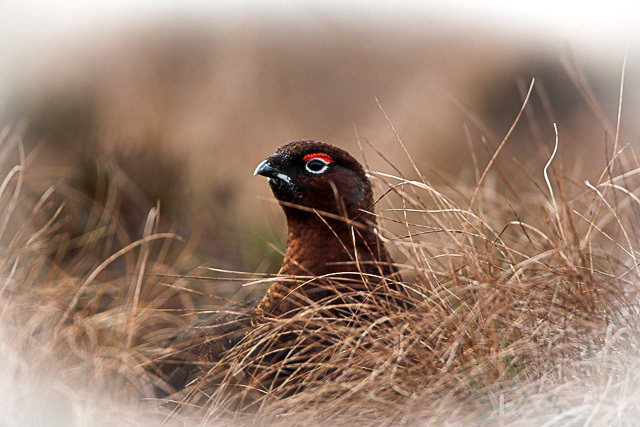 A ban on driven grouse shooting, 2. a grouse moor licensing scheme whereby sporting rights could be removed if illegal persecution continued and 3. a brood management scheme – which basically would mean removing young harriers from grouse moors, rearing them in captivity and releasing them elsewhere. In Arjun’s considered opinion, “any one of these three approaches could work well to provide a conservation success (i.e. more harriers) at least in the short term“. Now for the other side of the picture. When satisfactory numbers of grouse were on the moors that I managed I made no secret of the fact that I thought raptor predation, including that by hen harriers was causing significant losses of grouse, curlew, plover and larks. Now read what Robin Page, formerly of One Man and His Dog fame, had to say in his Daily Telegraph column on Saturday last. This is what he wrote: “I love lapwings and fear for our modern world. British extinction beckons and part of the trouble stems from the intensification of agriculture. If as some conservationists believe, hen harriers should find breeding in England so easy (through rearing and releasing), why is there none breeding on the RSPB’s reserves at Geltsdale and Hawes Water in Cumbria, this year? This article was first published by Farming Life. In reply to the question why are there no breeding hen harriers on the RSPB’s Geltsdale estate this year or in any other year is really straight forward to answer.Any Harriers that turn up are then shot when passing over nearby estates. With regards to rats, voles, mice, aren’t BOP and Owls quite partial to these as a food source? In nature there is the food chain, most creatures who are predated by lots of different species will produce lots of young, we predate not quite in the same way now, but look how many sheep, cows, chickens we produce for food. Years and years and years ago it’s how we survived, we killed to eat and I’m sure we were eaten as well, but we didn’t change the landscape, that came later and at a big cost to wildlife. With regards to Skylarks, crop spraying is not helping, there was a Skylark nesting in a field near Brands Hatch in Kent and a few weeks later the field was sprayed and unfortunately I didn’t see the Skylark after that. Cause and effect come to mind.